make you happy..............Keep Calm and Eat Chocolate!!!! Thanks Hels the tag at the top of my blog has to be my fav tags I have made I love the Umbrella Man! 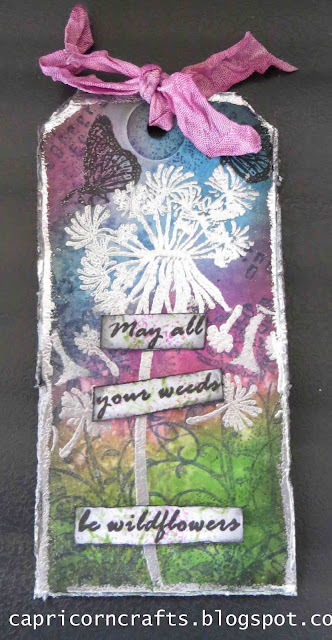 what a lovely fresh tag - great techniques - thank you for joining in at Tando Creative this month. What great colours and layering of stamps ;) Thanks for playing along ath The Artistic Stamper tag challenge.